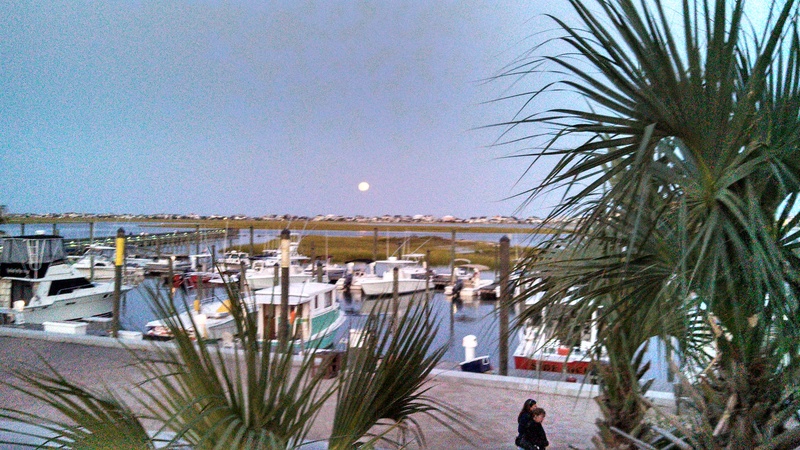 Beautiful view of the moon during dinner at Murrell’s Inlet, SC. We had a beautiful dinner tonight at The Wicked Tuna in Murrell’s Inlet, SC. The moon was brilliant and almost full.